A packaged software does not provide the perfect solution for every business. Every business has different requirements and it is a tough challenge for a single product to accommodate multiple needs simultaneously. Thus, Custom software development is the most efficient way to deliver cost-effective and reliable software solutions to match your specific business needs. Simplicity and sticking to the basics. As a leading custom software development company, we possess a team with pure understanding of domain and solid technological expertise ensuring that your products and software solutions are intuitive and perfectly match your business targets. We take our software product engineering expertise across a variety of industries that drive revenue with pioneering software. Be it any industry our clients serve, we like to stay ahead and well-researched so as to bring much more insight to the table and provide the best software solutions. We have incorporated this ‘fifth wave of IT architecture’ into our processes to create exceptionally intelligent software that provides connective, collaborative, real-time and productive solutions across enterprises. Standing for Social, Mobile, Analytics and Cloud, SMAC is the latest product and service model we have enthusiastically embraced which has been making IT operations faster and smarter and delivering effective customer experiences too. 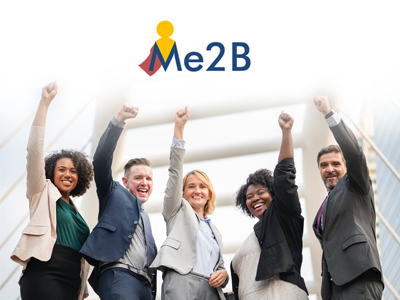 Me2B: An instant employee productivity and discipline building mobile app for ZS Associates: a global leader in sales and marketing consulting, outsourcing, technology and software. Click herefor the detailed project study. 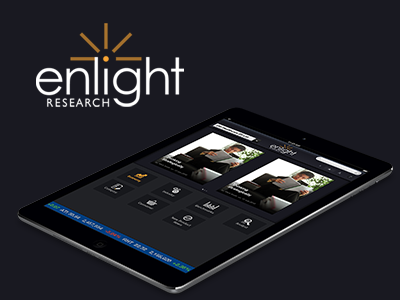 Board Brief: An enterprise level iPad app developed specifically targeting at revolutionizing boardroom performance for our client Enlight Research. Solutions were about providing real-time customized industry insights and financial information so as to accelerate smart decisions on the basis of real-time industry insights. Click herefor the detailed project study. 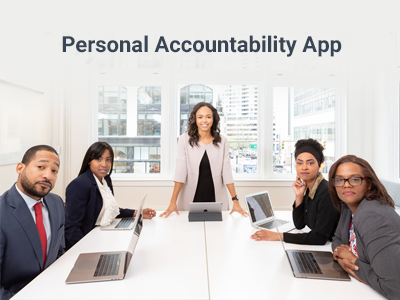 PAL: An employee-based productivity enhancing app for improving the floor sign-in process. Through the PAL Activation feature within the app, tracking and communicating with shop-floor workers is an enjoyable process as it is much simpler and checking on targets is simpler. Also, it ensures a high level of personal accountability and safety. Click herefor the detailed project study. Our team of iOS experts possesses a thorough experience and understanding of the iPhone App Development process. The key to enhancing the brand value of your product solely lies in creating the perfect interface design, icons and providing a great user experience. Our skilled and proficient team of UI designers is in total sync with the need of developing cost effective, intuitive & user-friendly mobile UI Designs. Every company has its own set of specific needs and we take it upon us to come up with unique and innovative customized web applications for our clients based on their requirements. The products we design can fit across the four corners of any screen and not just any specific device. Providing a seamless browsing session to the user is the major issue faced by any mobile application development company. At MI, we don’t just create apps, we fuel great experiences by developing and deploying customized mobile applications for your business. Because we believe in providing you with appropriate customized solutions according to your requirements without compromising the user experience and quality of the process. We guarantee quality delivery of the final product within a pre-scheduled timeframe. It is best suited for projects with well-defined requirements and schedules. If you are looking for specific requirements for your mobile devices and to work exclusively on your project on a monthly basis according to your needs. Provides the flexibility of varying the size & amount of workload of the development team assigned to your project with maximum time and cost optimization. Because we are a trusted technology partner with the sole purpose of delivering digital value to your business. With a comprehensive experience in custom software development and having more than 150 clientele satisfied clientele and successful projects, we are a software development company which helps you accelerate your key software initiatives to transform your business. Whether software is your business, or you use software to drive and enhance your business, Mobisoft Infotech is a leading software solutions company that proudly assists in the creation of innovative apps that will optimize your internal systems and build excellent user interactivity.